On arrival meeting assistance at Chandigarh. After short briefing and introduction with crew / technical support team, proceed to Manali. 325 kms drive will take approx. 8 hours to reach Manali. Check in at the hotel and overnight stay. After a leisurely breakfast, day at leisure to acclimatize or to explore the best of Manali town. One of the most favourate destination for Indian tourist may be crowded with many visitors in summer. Explore Mall Road / Hadimba Temple / Vashisth Ashram and hot spring at the temple and post lunch check your gears and essential stuffs for your overland drive to Leh. 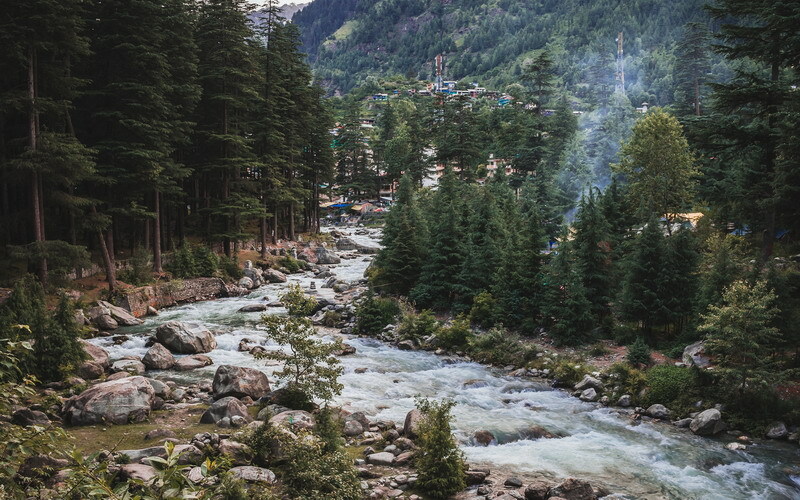 Dinner and overnight stay at the hotel in Manali. Depart Manali early in the morning our first halt is Marhi. A barren landscape offering extensive views of the valley and the mountains. We proceed to Rohtang Pass 3790 M, it is most popular with visitors, being one of the highest road point and gateway to LAHAUL and SPITI valleys. Pass remains closed during winter due to heavy snow from November end to May end. Visitors can drive upto Marhi below Rohtang with similar high altitude topography, forest of Birch, Fir and Spurce. Once we cross the Rohtang Pass border we are in the Barren Himalayas with the landscape completely changing. Khoksar is the first village and gate way to Lahaul Night stay in Keylong. Overnight stay at the hotel. Get prepared for the most interesting overland high altitude drive up to Leh. May take approx. 10 hours. You will arrive at Darcha (3500 M) it is situated at the junction of Yotche Nullah and the Zanskar chhu which takes off from the Shinkun la. Both these nullahs meet with the main river Bhaga at this place. This is the main point for the trek lovers wish to enter in Zanskar valley or up to Leh. Drive from this place will take you to BaraLacha Pass (1620 Ft) and further drive to Sarchu which is nearly the mid-point of Manali Leh route. Continue drive to Pang and cross Morai plains and arrive at Tanglangla Pass (5400 M) and enter in Leh Valley. Your further drive will take you to Upsi by crossing river Indus and follow the highway up to Leh. Check in at your hotel and overnight stay. After breakfast leave for Nubra Valley, driving across Khardung-la (alt: 18,380 ft). After descending from the pass, drive on for sightseeing of Sumoor area and Samstaling Gompa. Later check into a fixed camp in the same area or drive across to Deskit / Hundar for overnight in a fixed camp or hotel. After leisurely breakfast drive down the Indus Valley on the first leg of your journey to Kargil & Srinagar. On the way, visit Hall of Fame, Gurudwara Pathar Sahib, Magnetic Point, Sangam (confluence of Indus & Zanskar Rivers) and then the 11th century Alchi Choskor, oldest surviving monastic complex famous for its wall frescoes and architecture - a UNESCO listed heritage site. Continue drive towards Kargil, enroute visiting the dramatically located Lamayuru monastery and the adjoining “Moonland” hills. On the way to Kargil you can view the 9-mtrs, tall rock sculpture of the Maitreya Buddha at Mulbek (7th – 8th century AD). Overnight in hotel at Kargil. Early departure for Srinagar driving through Drass (famous as the second coldest inhabited place in the world) and crossing the Zoji-la Pass (11,500-ft. / 3,505 m) to reach hill station of Sonamarg fro m where it’s smooth driving through the beautiful Kashmir countryside to reach Srinagar. Overnight in hotel at hotel / Deluxe house boat in Srinagar. 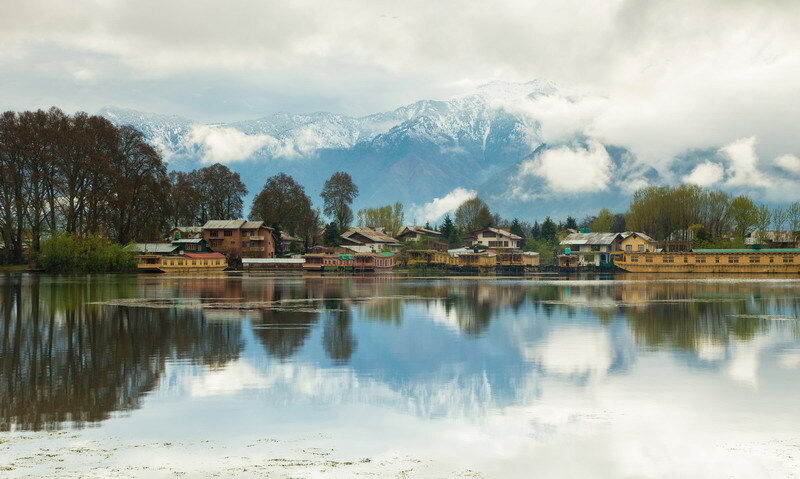 After a leisurely breakfast get prepared to have a Shikara ride at Dal Lake to see the beauty of the lake and local shopping around. Back to the main land and explore world famous Mughal Garden / Nishat Bagh. 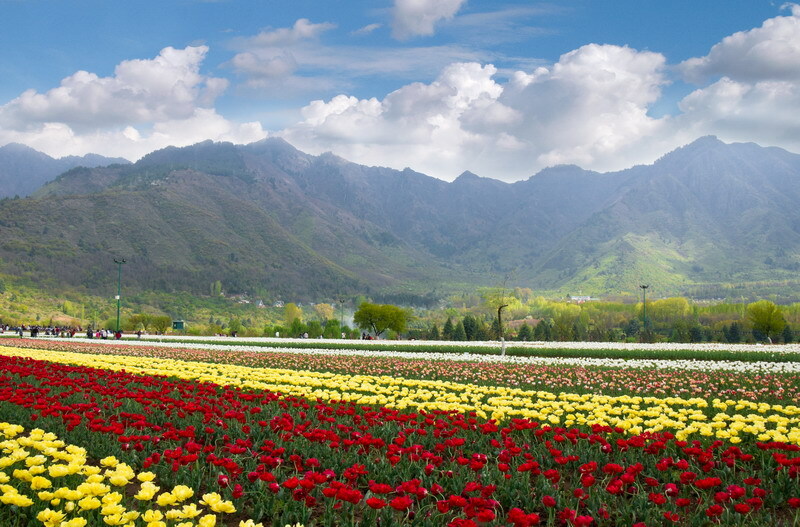 Explore the down town area of Srinagar city and colorful market may attract you for the local souvenirs. Back to the hotel / Deluxe house boat and overnight stay. Chandigarh is the capital city of two most important cities of Punjab and Haryana. The city gets its name from the famous Chandi Mandir, and is devoted to goddess Chandi. This pa;lce is quite well known for its rich and beautiful architect and urbanization, thus attracts many tourist across the country and world. Some of the common modes of transportations are taxi or cabs, buses, flights, and railways. The most famous places here are Rock Garden, Sukhna Lake, The Capitol, Rose Garden, Pinjore gardens, and Museum and art gallery. Cricket lovers will never miss the watch the favorite teams playing in Mohali cricket stadium. The climate here is moderate, summer temperature is too hot and winter is too cold.